More and more wine bars are beginning to pop-up all over Orlando. However, Grape and the Grain certainly takes the cake for being the best Orlando wine bar. 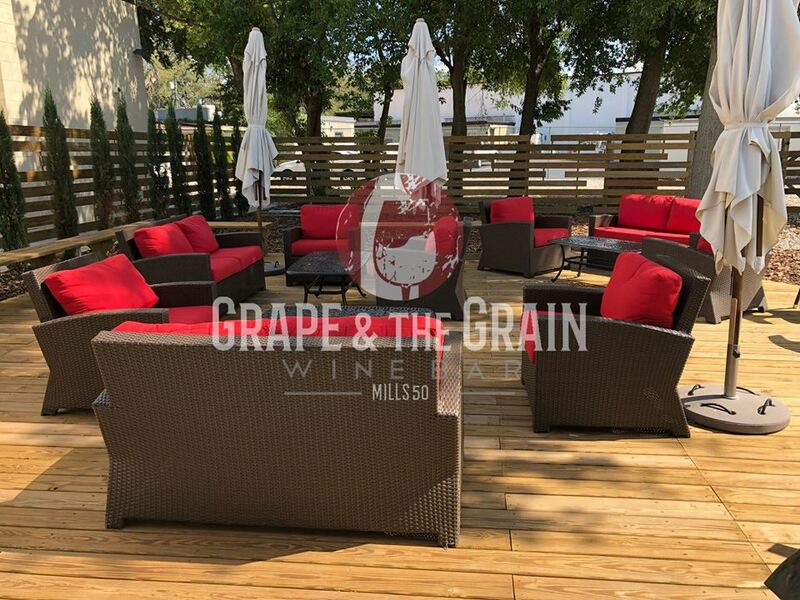 Located in the progressive and culturally diverse district of Mills50, Grape and the Grain has put a new spin on what you can expect from your typical wine bar. The owners traveled much of the world to grab inspiration from Spain and South American countries. Step outside onto the deck and into the wine garden to enjoy the shade underneath large umbrellas and shady trees. With a monthly, revolving art exhibit patrons have the opportunity to sip fine wine or craft beer as they immerse themselves in an artsy, inspirational environment. As your workday ends or the weekend approaches, Grape and the Grain is the perfect place to WINE-DOWN any day of the week (except for Mondays). On most evenings you can expect to hear DJs and other live music playing a wide variety of musical genres. From authentic flamenco guitarists, to jazz, samba, or even late nights with a little jazz-house mix, it's always a good time at Grape and the Grain. For Sunday Funday, bring your furry friend to enjoy the outdoor wine garden and sip champagne while listening to an acoustic guitarist. Snack on cheese and charcuterie and indulge in all of the things that this wine bar has to offer. If you're tired of just finger foods, no worries, on most days there's a local, Orlando food truck waiting for you right outside. The wine list has recognizable names, but it is globally inspired, so you're bound to find a new favorite. If you're looking for craft beers, they have a generous selection of local and domestic breweries, all within the US. 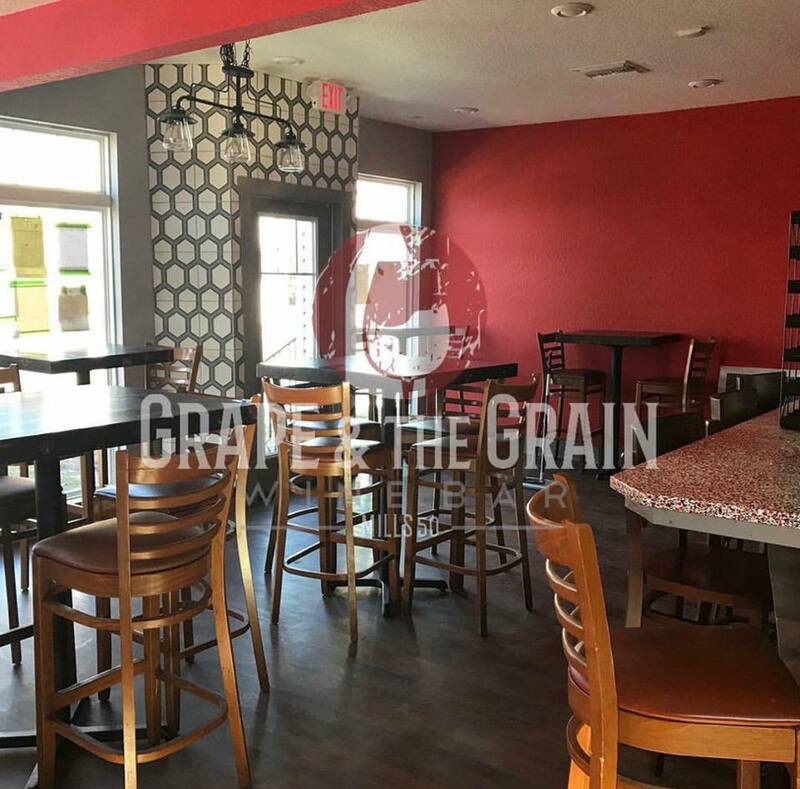 Grape and the Grain is a place for you to savor every sip and every moment because the vibe you'll expect feels like family, your local neighborhood wine bar. They are scheduled to open Friday, May 11th. See you there! Friday: 5:00 p.m. - 2:00 a.m.
Saturday: 5:00 p.m. - 2:00 a.m.